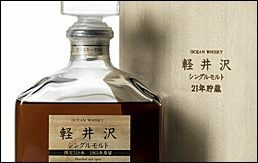 Bonhams Hong Kong is auctioning 200 lots of rare and collectable Japanese whisky. The Rare Single Malt Whisky Auction will take place on 15th August 2014 at 7pm at the new Bonhams Hong Kong Gallery located at Suite 2001 in One Pacific Place, Admiralty. With global appreciation and demand for rare Japanese single malts at an all-time high, Bonhams Hong Kong is offering 200 lots including legendary collecti ons from the Japanese distilleries of Karuizawa and Hanyu, which ceased production in 2001 and 2000 respectively. A comprehensive range of over 170 bottles of Karuizawa whisky will be presented, including the impressive collection of Karuizawa - Non distilled in years 1981, 1982, 1983, 1989, 1994 and 1999; the Karuizawa Geisha series; Karuizawa vertical years ranging from year 1969 to 1995; the Karuizawa black and white series and the extremely rare Karuizawa-1965-21 year old in a crystal decanter. The renowned and award-winning Hanyu Ichiro's ‘Playing Card Series’ is highly sought after by Japanese whisky enthusiasts around the world, with the ‘full deck’ collection rarely seen on the market. For this sale, Bonhams offers the most comprehensive collection of Hanyu Ichiro's Playing Cards whisky in the auction history of Hong Kong. Highlights include Six Full House with Six of Hearts, Six of Diamonds, Six of Spades, Five of Hearts and Five of Diamonds, and a set of Royal Flush with Ace of Clubs, Two of Clubs, Three of Clubs, Four of Clubs and Five of Clubs. Building on the success of the whisky sale in May 2014, Bonhams once again presents the highly collectible Yamazaki 50 year old. With only 150 bottles released worldwide, the Yamazaki 50 year old is one of the rarest and oldest Japanese single malt whiskies. The bottle of Yamazaki-50 year old fetches HK$257,250. Bonhams Hong Kong continues to take the lead in the sale of rare single malt whiskies in the city with a successful auction of Japanese and Rare Whisky on 15 August. The 200 lots of Japanese whisky on offer were snapped up with great gusto, resulting in a sellout with every single lot sold. The whisky sale, which also included 64 lots of Scottish single malts, totaled HK$6,564,898, with an overall 97% of the lots sold. Other prized Japanese whisky scored equally well, with Hanyu Ichiro's Playing Card series from the silent distillery also achieving prices above presale estimates. A set of ‘Royal Flush’ featuring Ace of Clubs, Two of Clubs, Three of Clubs, Four of Clubs and Five of Clubs sold for HK$159,250. While the set of ‘Six Full House’ consisting of Six of Hearts, Six of Diamonds, Six of Spades, Five of Hearts and Five of Diamonds achieved HK$100,450. Collectables from Karuizawa, another renowned Japanese silent distillery, attracted their equal share of bidders. 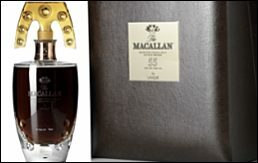 Leading the pack were the Karuizawa命之水 black and white series which sold for HK$116,375 and the extremely rare Karuizawa-1965-21 year old in a crystal decanter which fetched HK$104,125. Not one to rest on its laurels, the Bonhams Hong Kong wine department is actively seeking consignments for the next Fine and Rare Wines, Cognac and Single Malt Whisky Auction to be held on 18 November. Consignments will close on 30 September. More liquid treasures will go to block at the next sale to quench the thirst among collectors for the finest wines, spirits and the ‘water of life’.